Our products are made on a family farm in rural Tipton County, Indiana. 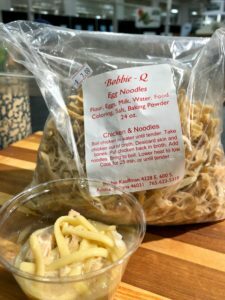 The delicious egg noodles are made from a 150+ year old recipe of Grandma Minnie’s. Chicken Noodle Sundaes are a big hit with kids and ones seeking comfort food. 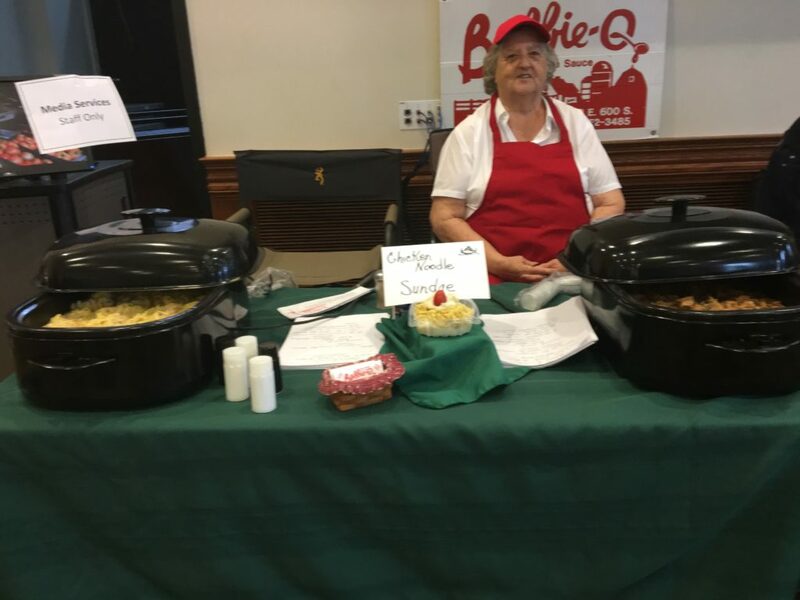 Roberta “Bobbie” Kauffman developed the BOBBIE Q SAUCE while helping start the first Tipton County Pork Festival by making 75 gallons the second year, 1968, 50 years ago. She also makes great cookies, fudge, nut clusters, caramel corn, chocolate covered pretzels. Boil chicken in water until tender. Take chicken out of broth. Discard skin and bones. Put chicken back in broth. Add noodles and bring to boil. Lower heat to low and cook for 25 minutes or until tender. Serve with mashed potatoes. Boil and mash potatoes. Add sour cream and garlic salt to taste.